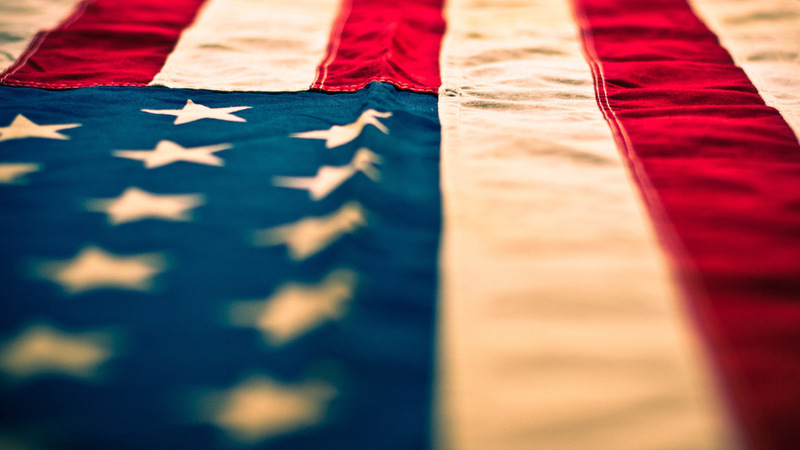 designed and handcraft in AMERICA! using only high quality Sunbrella® fabrics and materials. 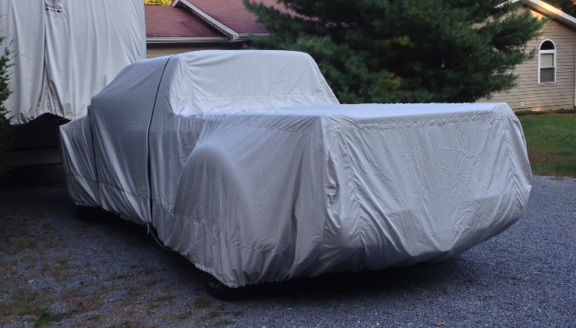 Leaders in Protective RV Covers since 1982. 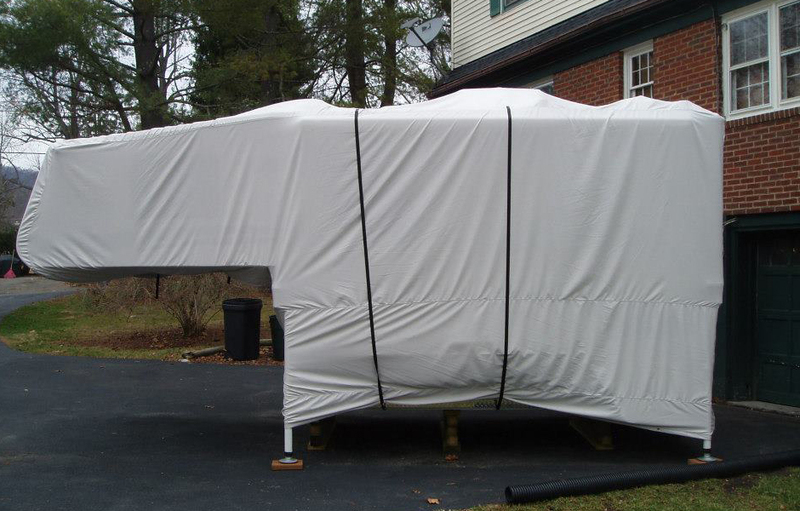 Protecting your RV with high quality, affordable RV covers. 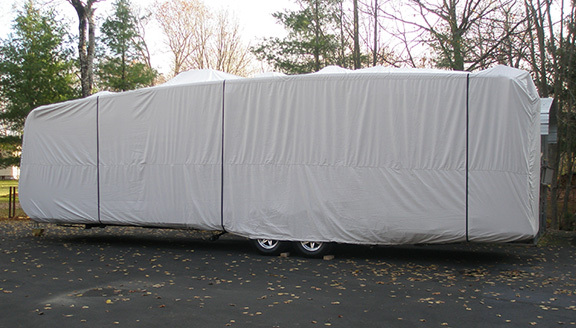 Class A covers have the need for customized allowances for the large mirrors that are not equally placed on either side of these typically large RVs. CalMark will make allowances for the mirrors and ladder area, along with your roof items, adding to your already customized cover fit. Every cover is cut, based on the exact length, width and height of the measurements you provide us with. 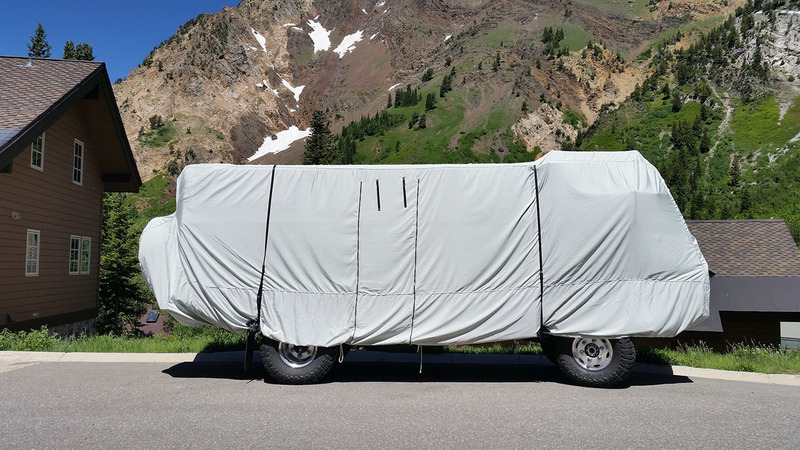 All covers come with zipper custom matched to the door location for easy access, to load up for a vacation or access during storage. 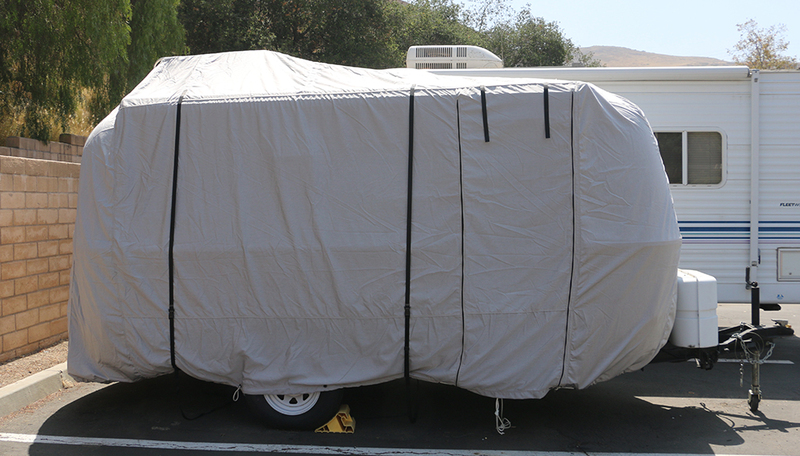 Every RV cover comes with CalMark’s EXCLUSIVE FSR (fabric stress reinforcement) roof construction – AND wind/friction reducing tie down straps with quick and easy release buckles. Covers are not made to fit like a glove. All covers have wiggle room/allowances for easy installation and removal. Casita and Scamp cover customers do not need to provide measurements. CalMark Cover Co. has patterns for each model. We will still require a little information from you to finalize your order. If you are ready to order, please call us or submit your request for a Fast Quote. Covers are not made to fit like a glove. All covers have wiggle room/allowances for easy installation and removal. Class C Covers come in a variety of different configurations, as each overhang area is different by design, make and models. 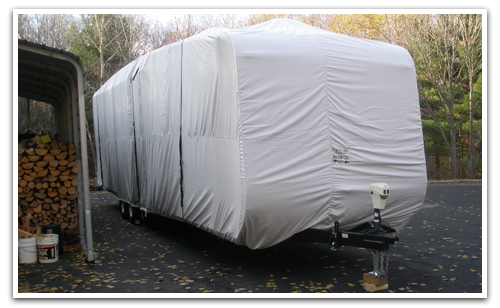 We customize your CalMark Cover to YOUR make and model. Every cover is cut based on the exact length, width and height of the measurements you provide us with. All covers come with a zipper custom matched to the door location for easy access, to load up for a vacation or access during storage. 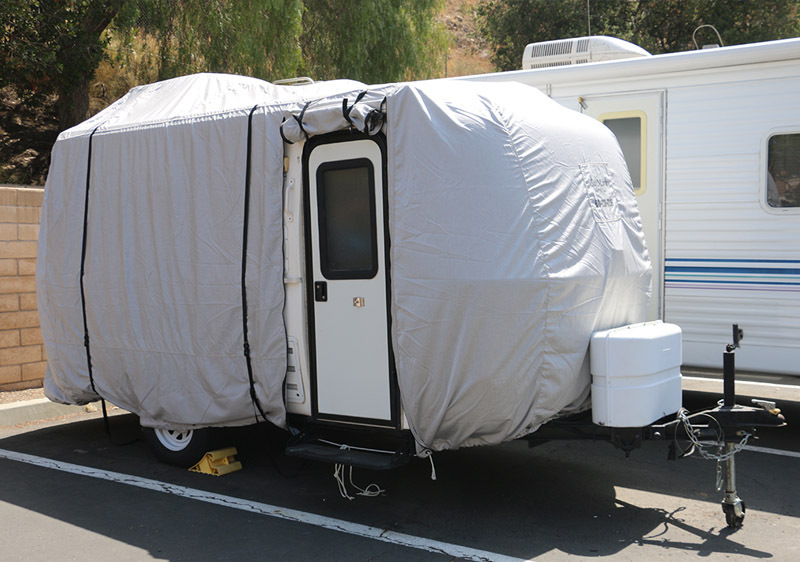 Every RV cover comes with CalMark’s EXCLUSIVE, FSR (fabric stress reinforcement) roof construction – AND wind/friction reducing tie down straps with quick and easy release buckles. Covers are not made to fit like a glove. All covers have wiggle room/allowances for easy installation and removal. 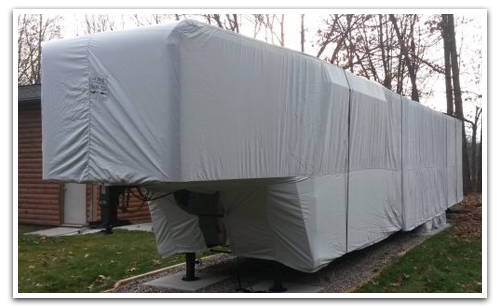 Not sure if you should protect your RV, Motorhome, Camper, 5th Wheel, Travel Trailer, Toy Hauler or other recreational vehicle with a CalMark Cover Co. RV Cover? 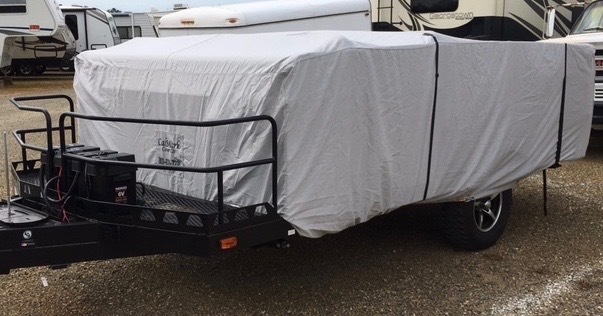 You have read the product info – our covers are 100% USA made (labor, fabric & parts) with YKK Zippered door entry, double stitching, wind/friction reducing tie down straps with quick and easy release buckles, along with our EXCLUSIVE “FSR” roof construction. – all made with the highest quality fabric available – Sunbrella® made by Glen Raven Mills, NC. 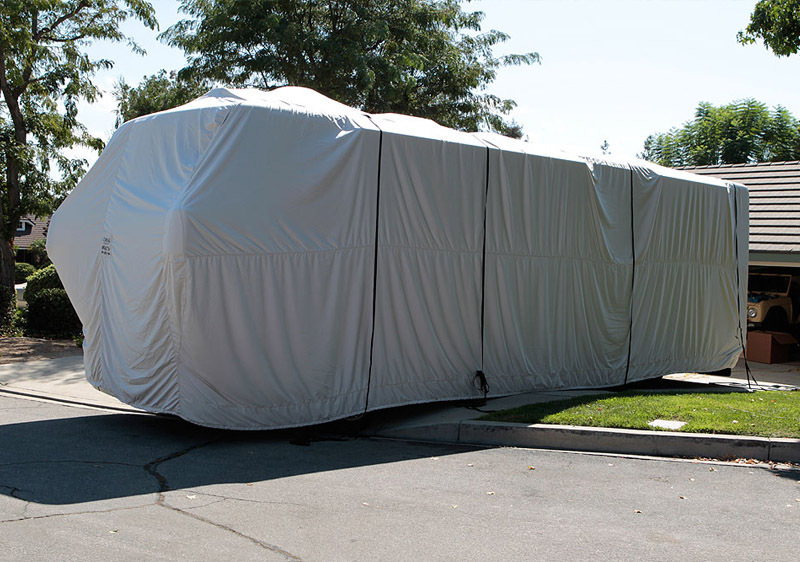 CalMark Covers are premium covers for your recreational vehicle – all custom made to order AND with a 6 – year warranty. Why buy a product to save a little that will only last 1 – 2 years? But don’t let us convince you – our cover owners (many repeat customers) will do that for you – just read what they have to say! 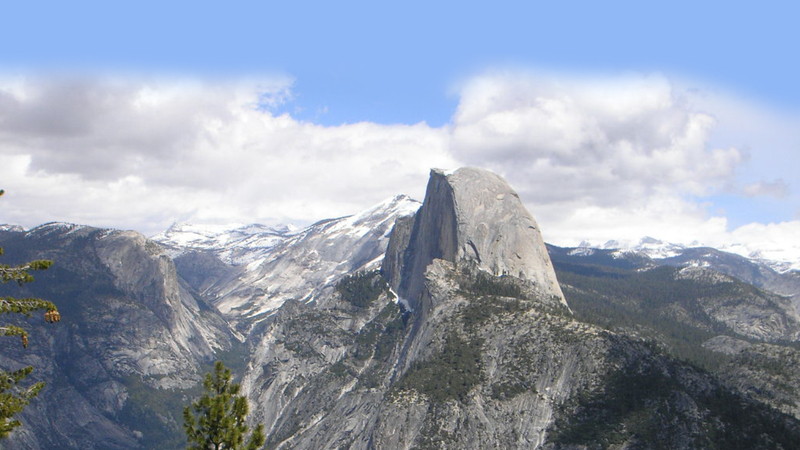 If you already own a CalMark cover, we welcome your comments and pictures as well. Mel & Karen W, on CalMark Cover Co. 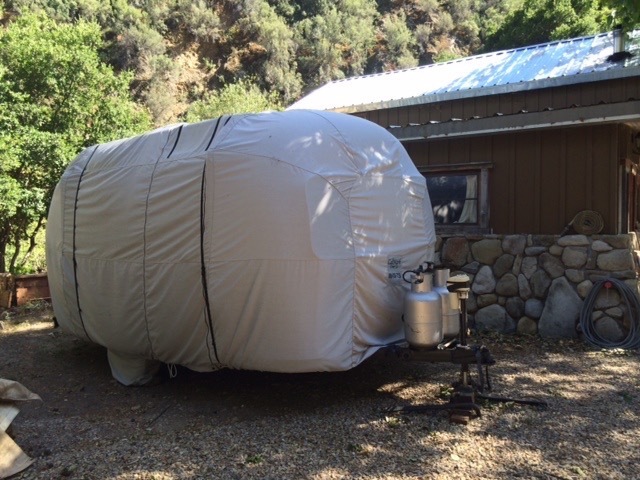 I recently sold a trailer that had an 8 year old Calmark Cover made from their lightweight but durable Sunbrella. That little cover did a great job at protecting my trailer and the fabric held up really well. I did have to have some of the inner straps re-stitched due to sun damage to the threads, but the actuall fabric held up amazingly well. I think this product was worth every penny and helped me to get a good price when selling my used trailer. P. T., on CalMark Cover Co. I have a calmark cover and would highly recommended. 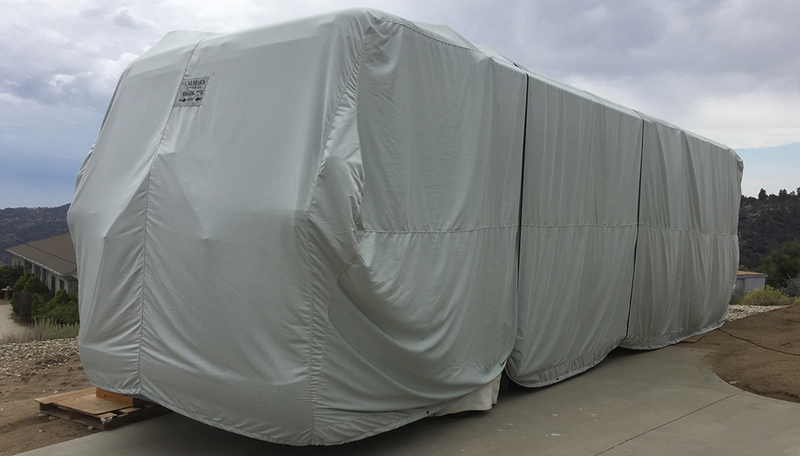 Their covers are custom fit to fit your coach exactly customer service is great you deal with them directly you can put as many doors or zippers in it as you want they come with a 7 year warranty a little bit more money than other covers but you pay for what you get.  lak356, on CalMark Cover Co. 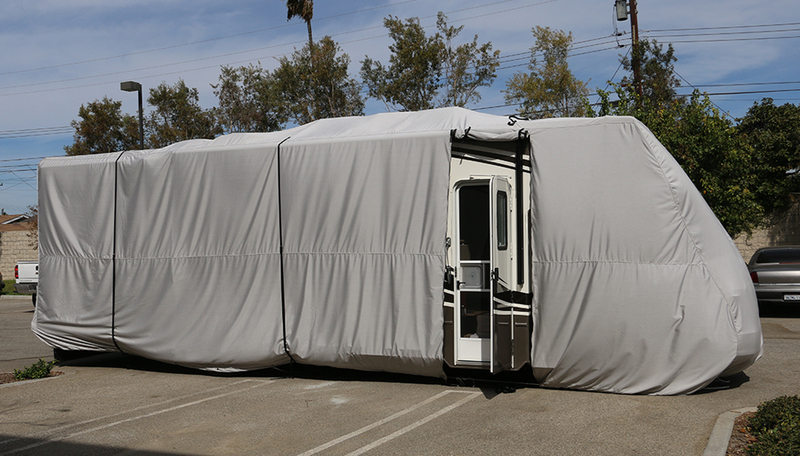 Custom tailored RV Covers with exclusive FSR construction.